General Motors India’s recall woes simply don’t seem to end. Even as the American automaker is facing protracted legal battles in the United States on the back of delaying a recall, the situation in India is similar what with the Indian division of General Motors under the scanner for fudging emissions of the Tavera MUV. While Taveras produced over many years have been recalled to issue fixes, General Motors has also recalled its three latest products for India, the Sail hatchback and sedan, and the Enjoy MPV in the past. Click here to read about GM India’s previous recall of the Enjoy. Our sources indicate that the Enjoy is being recalled yet another time, this time to fix a faulty engine map. This recall is for the diesel version of the Enjoy. As was the case with the the previous recall of the Enjoy, the latest recall will be carried out at no cost to the customer. General Motors’ dealers have begun getting in touch with Enjoy MPV customers, asking them to bring their vehicles in for ECU re-programming, which will happen at the dealers end. General Motors India’s previous recall for the Enjoy included the replacement of air filters and brake pads. The Enjoy is sold with two engine options, a 1.4 liter-4 cylinder, naturally aspirated petrol engine that outputs 98.8 Bhp-131 Nm and a 1.3 liter-4 cylinder turbo diesel engine that outputs 74 Bhp-172.5 Nm. Both engines get five speed manual gearboxes. 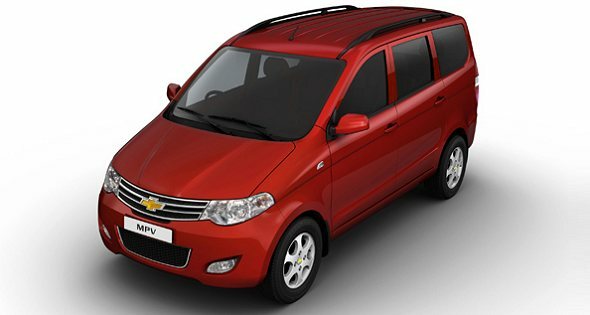 The MPV is available in 7 and 8 seat guises, and General Motors India has just launched an anniversary edition accessory pack to commemorate the MPV’s one year of sale in the country. The car maker has managed to sell about 20,000 units of the Enjoy in India, with the major chunk of sales coming from the diesel powered variants.